As promised, here’s some color for ya this week! 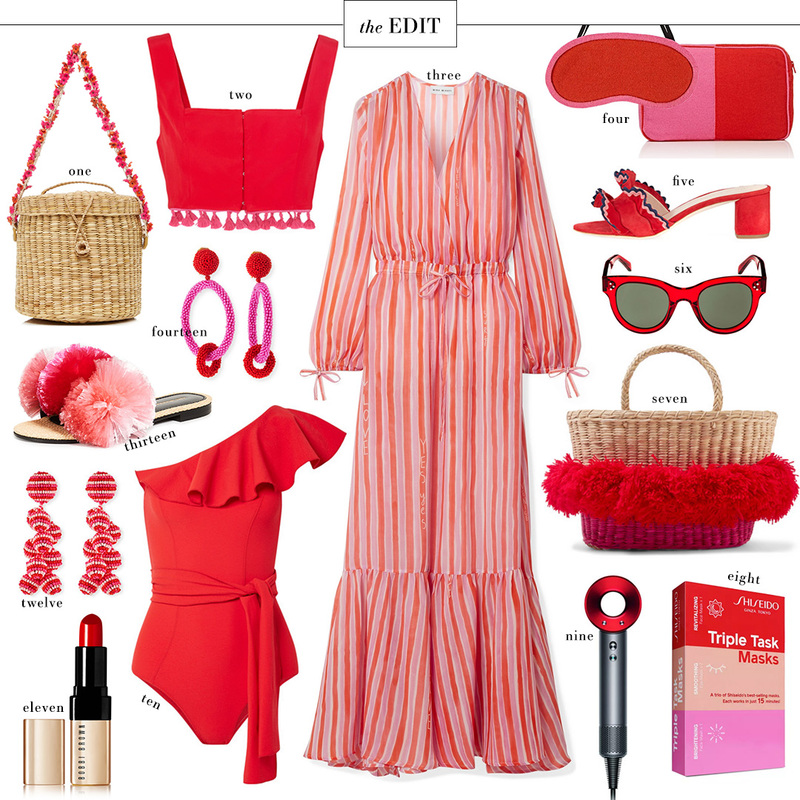 This week’s EDIT is inspired by the red + pink bag I picked up in Argentina. I can’t stop wearing it! I’ll be debuting it on the blog on Monday, so stay tuned to see that look. Shop even more ravishing red and pink finds at various price points below! I just got this dress in the mail and it is SO cute! Unfortunately I think it’s better suited for ladies with smaller chests, due to the cutout and lack of support. Another item I picked up recently is this pretty pair of slingback pumps. They had a sophisticated touch and a pop of color to my favorite jeans looks – I’ll be styling them in Monday’s post! They run small, so size up a half size! This mini red basket bag is tiny but mighty! The perfect pop of color for any summer ensemble. This swiss dot Marysia dress is so darling! A great coverup option, but you could absolutely wear it to dinner too. If you’re in need of a spicy dress for a party and don’t mind a plunging neckline, this dress is a total knockout. I have these fuchsia hoop earrings and they are fabulous! If you wear a size 6 shoe, today is your lucky day. These pink gingham pjs are precious! This two-tone poplin dress is another style I ordered for my Japan trip. Just waiting for it to arrive in the mail! This hot pink crossbody is a stylish way to add color to your weekend wardrobe. this red bathing suit is so cute. Love your picks! Oh my goodness, what a fun pop of color!! I am just now starting to incorporate red into my wardrobe and I’m LOVING it!